High performance yarns coming from different fiber mixtures. We offer a wide variety of yarns for all kinds of uses and in a wide range of colors. Our production is based on quality, which is why we focus on obtaining the best raw material to produce the best products for our customers. Bekinox is a metallic filament obtained from unoxidizable steel 100 %; Depending on the percentage of steel fibers in the thread composition, these will behave like: insulating, conductive and antistatic. a: Diameter of the filaments. b: Length estimated of the fibers. 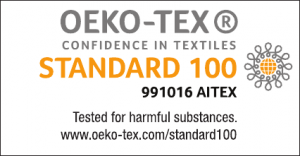 c: Weight of the fibers ( 1 a 4 Tex). The Kanecaron fibers, present differential characteristics for the limit of oxygen, emphasizing the fact of being a fiber that does not found but carbonizes, act which produces a rigid surface that, after the combustion, continues contributing protection. The difficult inflamability is permanent, without it deteriorates for the action of washes. This characteristic is obtained directly by the modification of the polymer during the extrusion process of the fiber and it is not possible to alter it during the production of the thread, weaving, as well as for the care operations and maintenance of the garments. These fibers present a great dimensional stability after a high number of washes, solidity to the Light ( Fastness) and alcali resistente. The sewing thread Kermel/Hilados Benisaidó is a polyamide-imide classified inside the meta-aramid family. I is maily used in the manufacture of protective clothing agains heat al flames. The polyester is a category of polymers that contains the functional group éster in its principal chain. The term polyester generally refers to the synthetic poliésteres, which include polycarbonate and specially the polyethylene tereftalato. The polyester is formed synthetically with glicol more acid ethylene tereftálico, producing the polymer or poltericoletano. As result of the process of polimerization, there is obtained the fiber, which is the base for the production of the threads to sew and for the manufacture of fabrics. It is a semicrystalline not polar termoplastic, of hardness and high inflexibility, has an excellent impact resistance, and to the chemical corrosive products. It is used in different industrial processes, due to its good electrical, chemical and mechanical properties. It resists chemically to watery solutions of inorganic acids, weak organic acid, bleaches, alcohol and some oils. The fibers Viscose FR present a thermal stability very higher to the conventional viscose due to the temperature of decomposition of the polymer. Ideal product for the sensibility of the skin. Ideal management of the dampness. Good relation with the environment.